Three Counties Hotel Weddings01432 299955work Wedding Ceremony VenuePlan your perfect day at the Three Counties Hotel Weddings, standing in 3.3 acres of landscaped gardens, approximately 1.5 miles from the historic Cathedral City of Hereford. The Three Counties Hotel provides a peaceful haven and a perfect venue for your special wedding day. Here at the Three Counties Hotel we have considerable experience in catering for weddings from 10 to 350 people and pride ourselves on providing a value for money and professional, friendly service. You can plan the whole of your day at the Three Counties Hotel as we are licensed for Civil Wedding Ceremonies and have various rooms available to cater for all numbers. All our menus are flexible and, should you have any special requirements, we can cater for them at your request. Plan your perfect day at the Three Counties Hotel Weddings, standing in 3.3 acres of landscaped gardens, approximately 1.5 miles from the historic Cathedral City of Hereford. 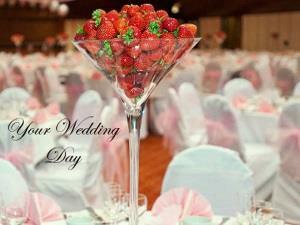 The Three Counties Hotel provides a peaceful haven and a perfect venue for your special wedding day. Please download our Wedding Pack from our website.